Store cheese in the warmer parts of your refrigerator, such as a produce drawer or the top shelf, away from the fan. Remove the cheese from the vacuum plastic and wrap loosely in cling film. Cling film is acceptable for wrapping cheese. If cheese is wrapped in plastic, the wrapping should be changed every few days to allow the cheese to breathe, and to keep the cheese from becoming slimy or discolored. Double wrap strong, pungent cheese such as Brown’s Stone or Bleu de Brun to avoid having these aromas permeate the refrigerator. 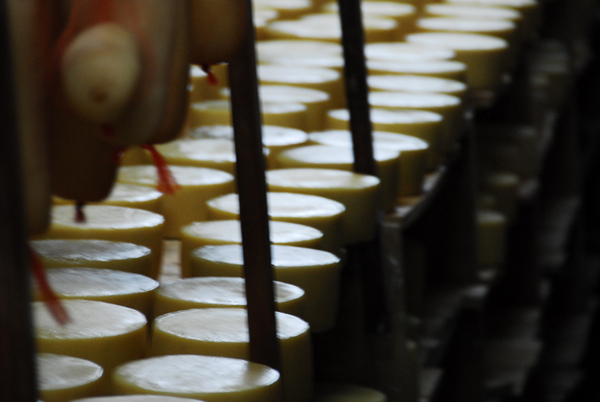 It is best to place these cheeses in an airtight container for extra assurance against aroma leakage. All Brown’s cheeses are natural. Our hard cheeses will develop a white mould. This only improves the flavour of the cheese. The mould is edible. If you do not want to serve the cheese with the mould, cut it off or you can wipe it off with a dry cloth. The exception to this rule is soft cheese. 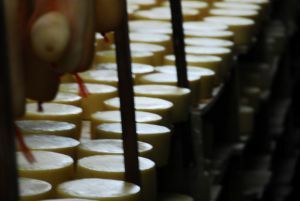 If a mould develops, the cheese should be discarded. Cheese can be frozen but the texture may become crumbly and you may find the flavor is diminished. Frozen cheese is best used for cooking. Do not freeze cheese longer than one or two months. Cheese that is already cooked and then frozen, such as cheese in a frozen macaroni and cheese, does not suffer in flavor or texture.